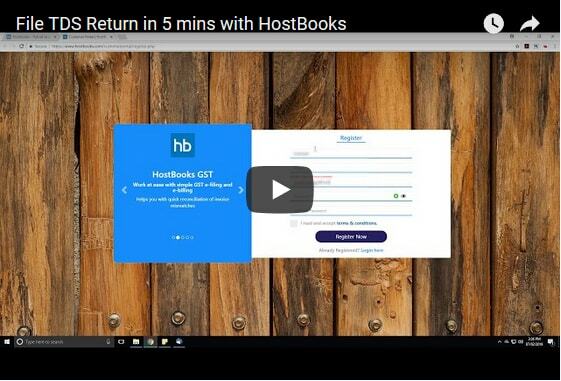 Filing e-TDS and e-TCS returns just got simpler with HostBooks TDS! Keeping in view the Tax Deducted at Source (TDS) issues that the taxpayers go through, HostBooks e-TDS software paves way for a smooth e-TDS return filing process. It offers a cost-effective approach to filing TDS returns by reducing the compliance time by at least 50%. Being an NSDL approved e-TDS service provider, you can completely rely on HostBooks e-TDS cloud solution. Whether you generate forms 24Q, 26Q, 27Q & 27EQ or print TDS certificates in Form 16/16A, HostBooks TDS simplifies the process from the beginning till the end. In addition, it facilitates easy corrections in the e-TDS returns already filed. Hence, HostBooks TDS will always be at your service and help you battle your TDS struggles. HostBooks TDS has been listed on TIN-NSDL as an e-TDS service provider. It provides you with TDS return filing services you can completely rely on. HostBooks TDS is an authentic TDS service provider and ensures a smooth delivery of services. HostBooks TDS in association with Amazon Web Services (AWS) enables you to access your accounts anytime and anywhere. Also, it ensures 99.99999 SLA uptime and minimal latency. With the automation feature, HostBooks TDS makes the online filing of TDS returns absolutely effortless. It automates almost 80% of the work. Hence, it reduces the manual efforts to a great extent and guarantees accuracy. HostBooks TDS aims at reducing the compliance time by at least 50% which will consequently cut down the cost by half. Simply put, it increases your proficiency to a great extent. The TLS 1.2 Transport Security with AES 256 bit encryption (Https at SSL Level) provides you with bank-grade security. Hence, HostBooks TDS keeps your data safe, secure, and intact. The Automatic PAN Validation feature validates the PAN details right away. So, in case you enter a wrong PAN, you need not worry at all as it will be automatically validated and highlighted. HostBooks TDS helps you with the correction of TDS statements by detecting the errors right in the beginning for you to make the necessary changes as when required. The Auto-Calculation feature saves your valuable time by instantly calculating the amount of e-TDS or e-TCS. Hence, HostBooks TDS helps you get rid of the complex manual calculation and redefines precision. 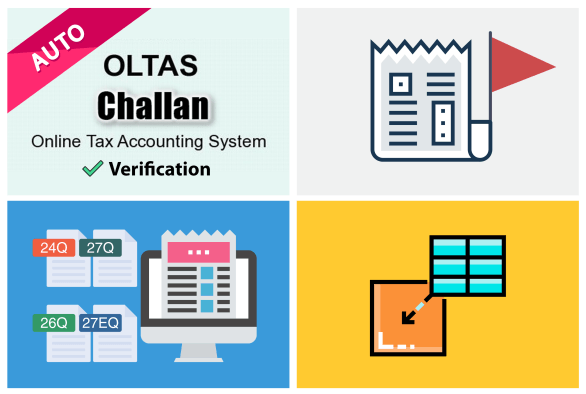 The File Validation Utility (FVU) ensures that the structure of the file is accurate and in compliance with the guidelines laid down by Income Tax department. 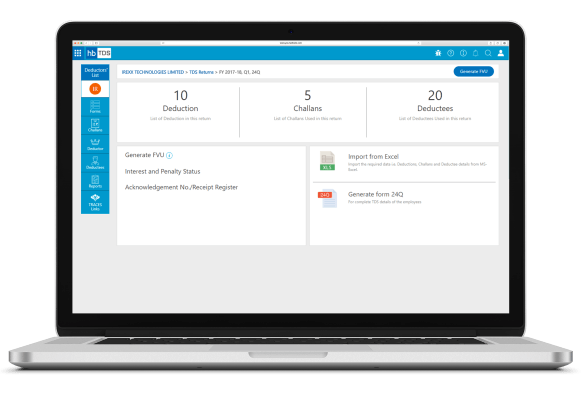 HostBooks TDS provides you with an easy access to all the vital TRACES links like Justification Report, Request for Correction, Request for Conso file, and Requested Downloads. 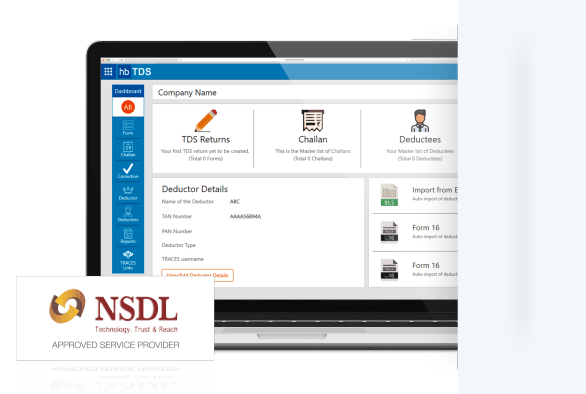 With HostBooks TDS at your service, experience a simplified approach to filing online TDS returns. It provides you with a phenomenal user experience. The 24*6 availability of experts and online remote support ensure a smooth flow of services. Our support team would be at your service right away. Believe us we are just a call away! Do you have a TDS query?